The crisis of the post-colonial condition, well documented in other African countries began to be repeated in Zimbabwe. 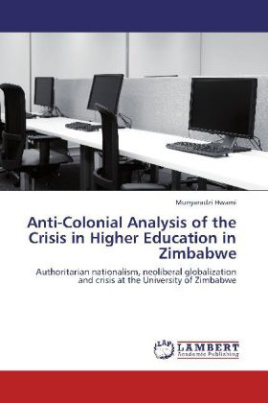 After experimenting with Western projects of development and neoliberal globalization, Zimbabwe, and specifically higher education institutions such as the University of Zimbabwe became embroiled in a crisis of unprecedented magnitude.This book reveals that ZANU PF authoritarian nationalism is exerted through the centralized power invested in the vice-chancellor s office and the subsequent random use of campus and state security forces against students and faculty. Privatization of amenities and dollarization were observed to be the two main neoliberal policy measures contributing towards the crisis at the institution. High levels of student poverty, massive faculty exodus and violence characterized the impact of ZANU PF nationalism and neoliberal globalization. The book demonstrates how ZANU PF nationalism and neoliberal globalization are contributing towards the crisis at the institution and recolonizing the people of Zimbabwe.